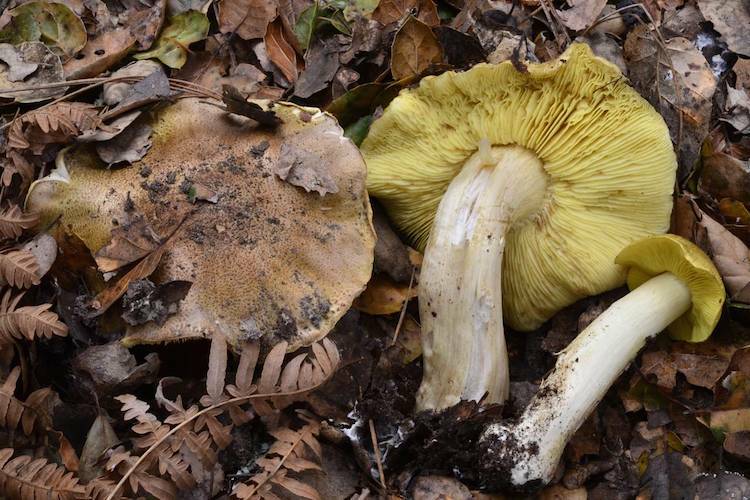 Approximately 23 species in Santa Cruz County. 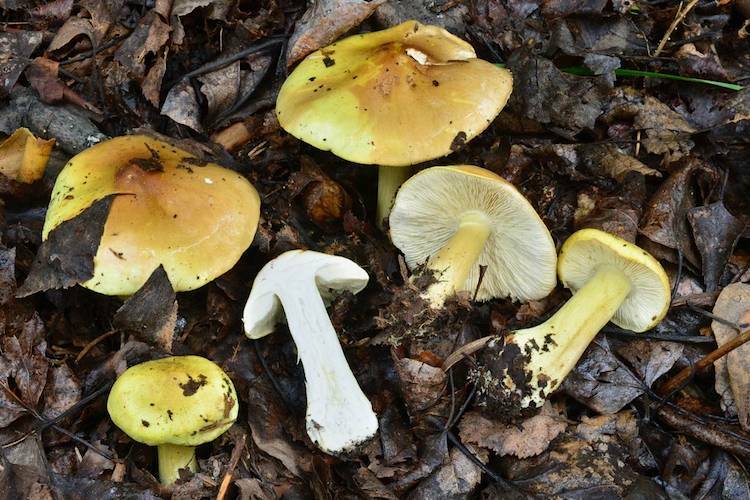 Tricholoma are somewhat difficult to define as a genus: all produce white spore deposits, most have clearly notched/sinuate gills, most smell mildly to strongly farinaceous, and many have slightly to distinctly scaly caps. 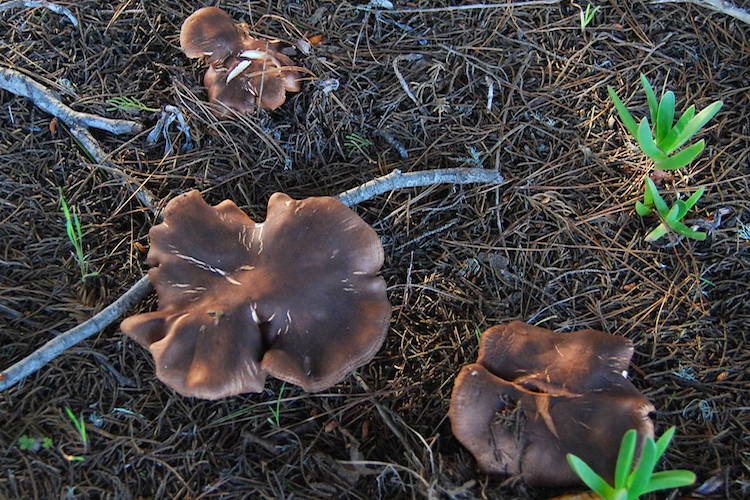 There is no universal veil, and all grow on the ground near forest trees. 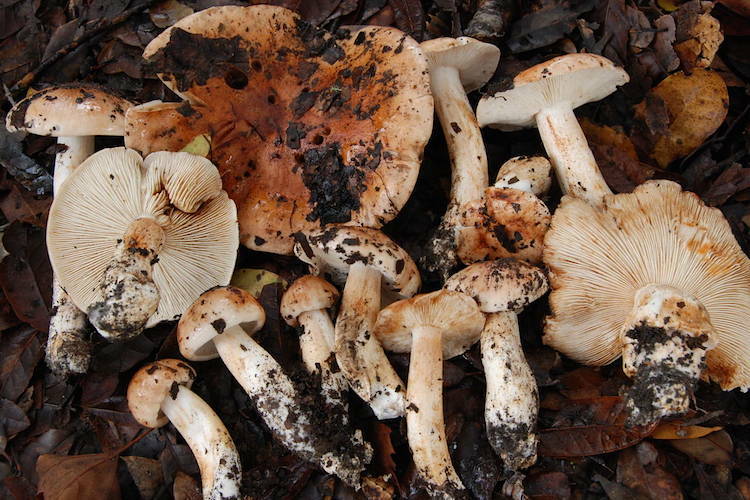 However in other respects they are quite variable - the fruitbodies of different species can be small or enormous, viscid or dry-capped, dull or rather brightly colored, and some species have a partial veil (even those with a partial veil show a range of type - some are of the cortina type, others are membranous-annulate, and others still show only a 'ring zone'). 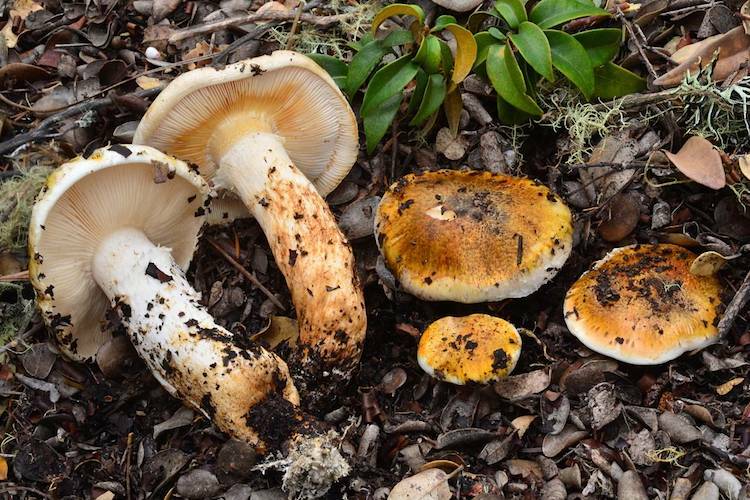 Although a few are treasured edibles, some are quite toxic (none are deadly). 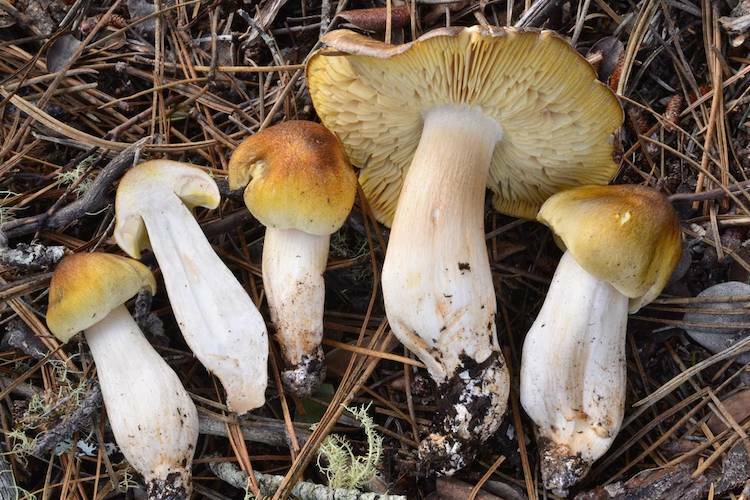 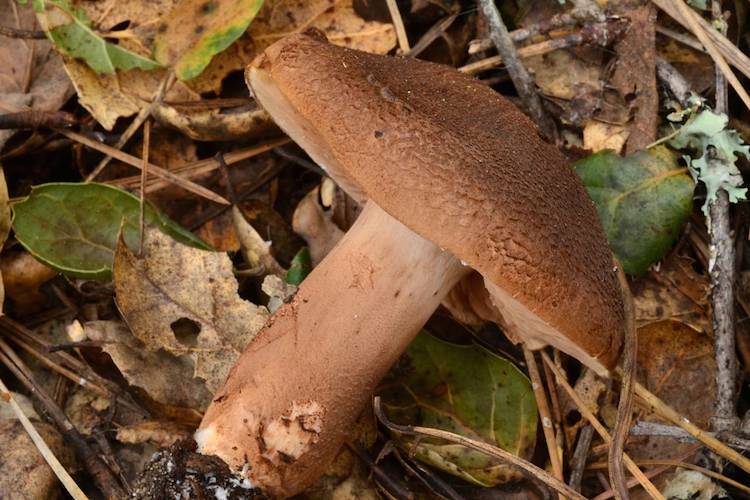 The genus is moderately species-rich in our area, but we added a few Tricholoma to the county list in each of the past three years, so we may end up with a fairly extensive number when more coverage is achieved (particularly in older-growth Tanoak and Douglas-fir forests). 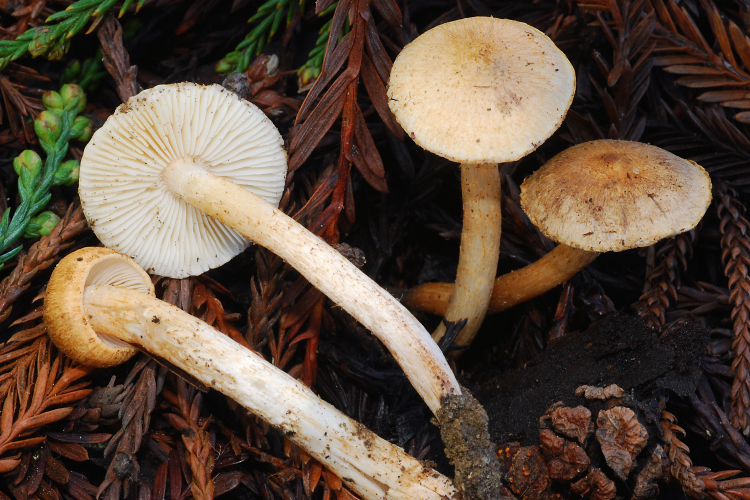 Important identification characters are overall fruitbody color pattern, cap shape and texture, presence or absence and type of partial veil, stipe shape, and host tree association.